Sierra Providence East Medical Center opened in May 2008 and is part of The Hospitals of Providence Health Network. 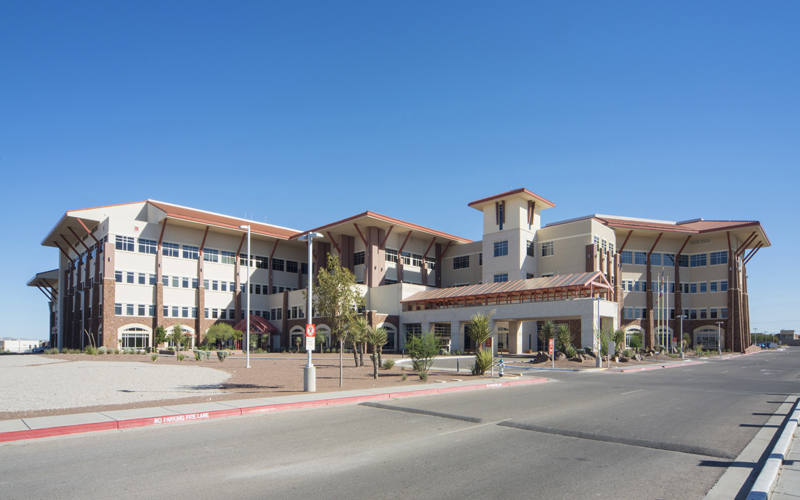 The acute-care hospital anchors a 40-acre medical campus with three Medical Office Buildings and the option for future expansion. 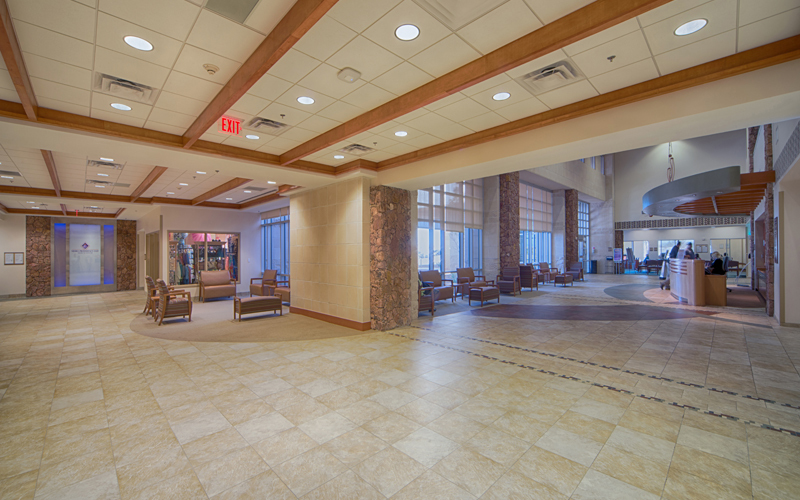 The original main hospital and phase I expansion have a total construction area of 500,000 square feet. 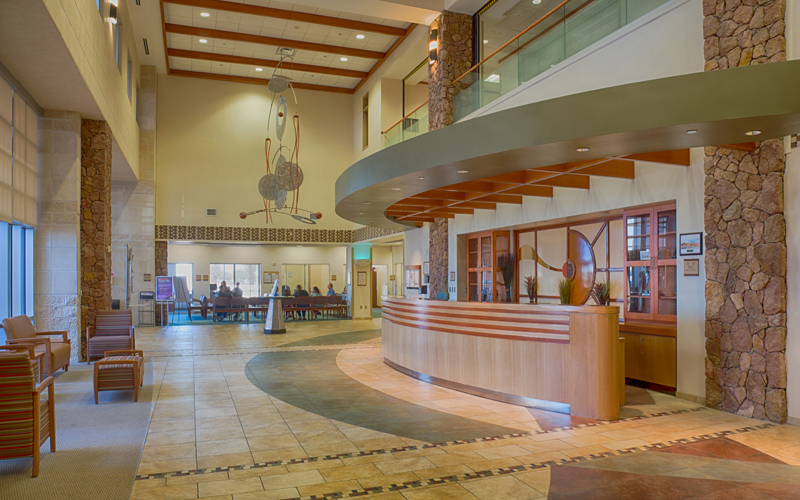 Designed with an emphasis on patients and their families, care was taken to design user-friendly wayfinding signage and convenient circulation zones while offering efficient functionality and attractive regional architecture. 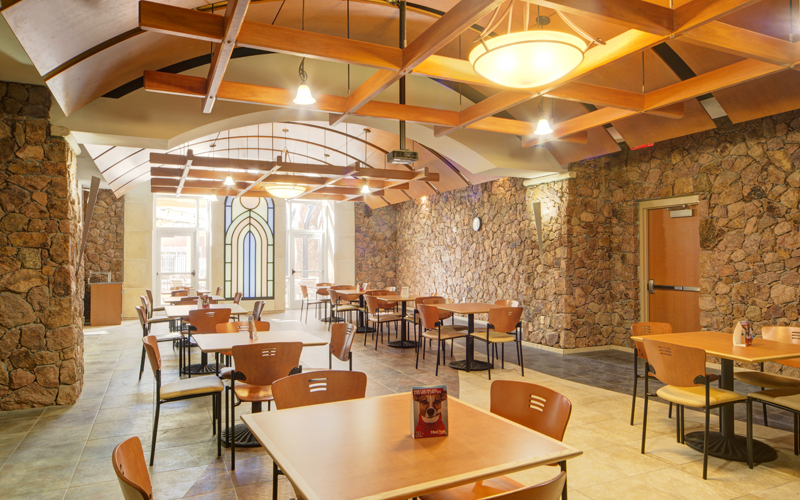 The exterior design is an interesting mix of modern architecture with regional flavor influenced by the architecture of El Paso and the neighboring town of Juarez. Elements included a response to the desert sun with a deep overhanging roof, incorporation of stone from a local quarry, and creative use of concrete masonry units. A garden with indigenous landscaping was an important feature to provide a healing environment for patients as well as a place of respite for staff and family members. 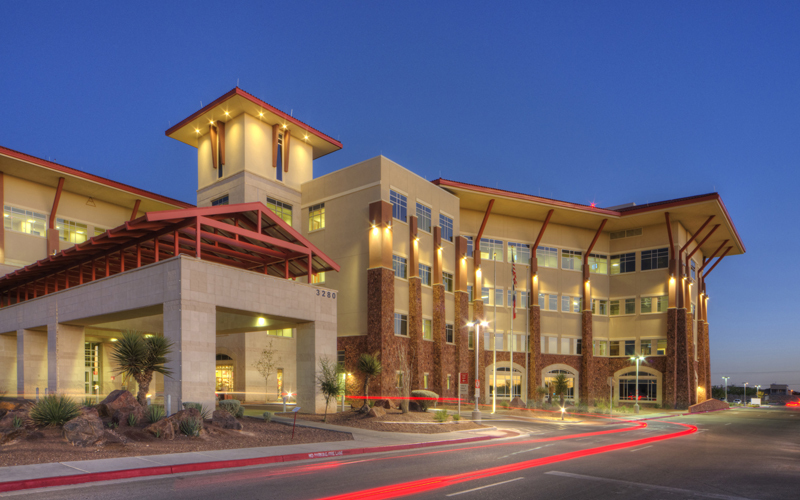 After the hospital opened in 2008, the population in El Paso continued to grow, and caused the hospital to quickly respond by expanding services to the 4-year-old hospital, and in 2014, a $67 million patient tower expansion opened. 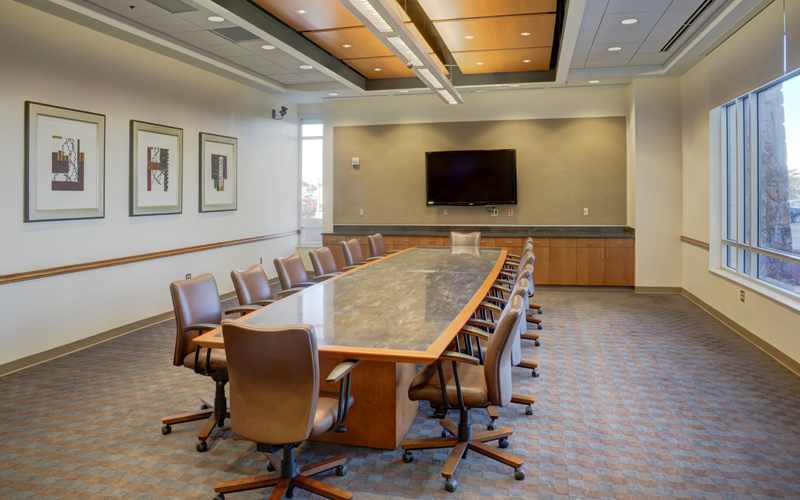 The primary focus of the expansion was a new four-story 145,000 sq ft tower in addition to a new emergency department that increased capacity immensely. 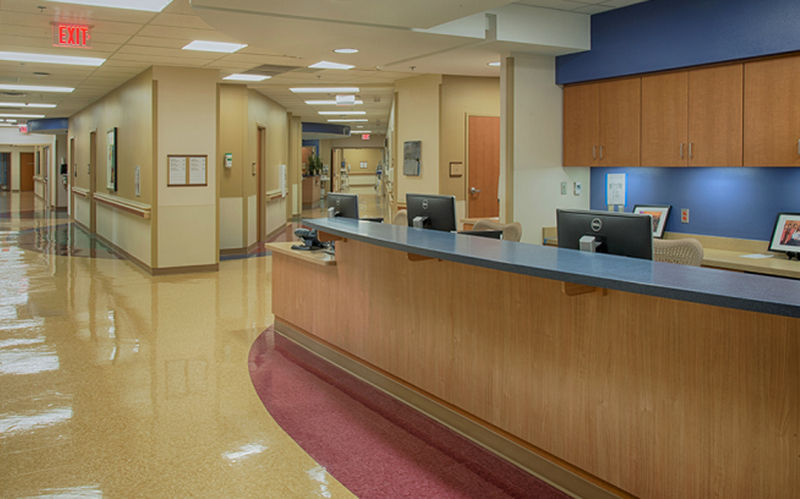 The expansion also added a cardiovascular intensive-care unit. Future developments on this hospital campus include a Medical Office Building and a Patient Tower to the West of the main entrance, as well as expanding other hospital functions to be determined.